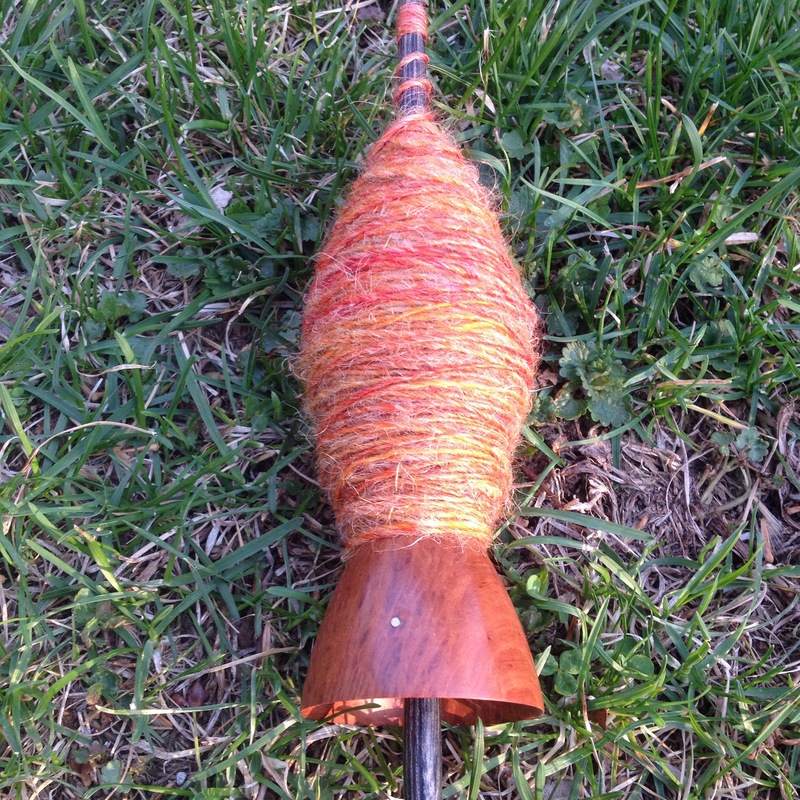 Over the weekend I finished plying my wool/flax combination. 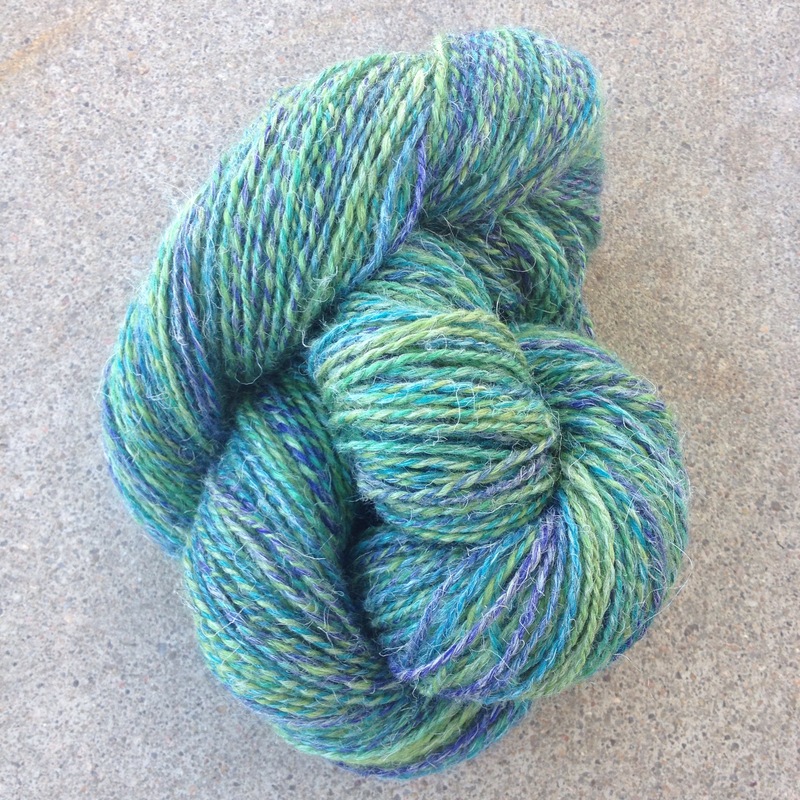 I ended up with 200 yards of 2 ply yarn. A serious hot water wash and a good thwack really did soften up the flax quite a bit. 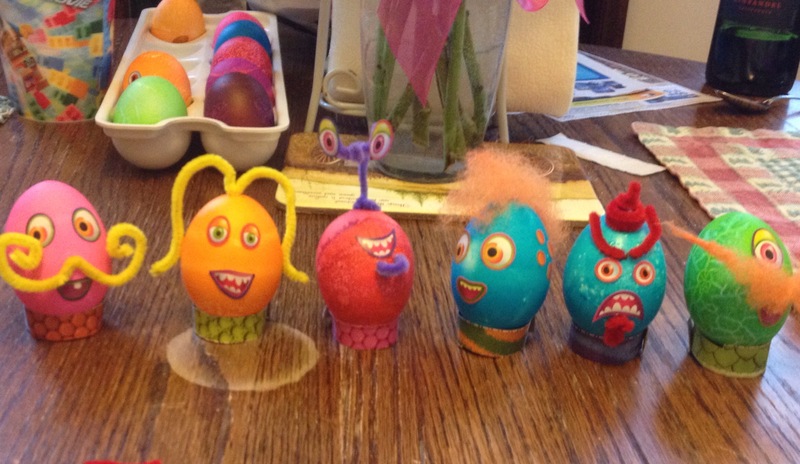 We also did some egg dyeing and created little monster eggs over the weekend, that was good fun indeed! Because I got in a good groove with the spinning of the wool/flax blend, I decided to spin up my second bump immediately. No sense trying to struggle with it again after I’ve forgotten how to make it work! This bump is a great combo of warm orange and red, which is a huge change from the cool blues and greens on the first bump. All my crafting seems spinning related lately. It probably has something to do with it really feeling like spring is in the air! It’s really damp and chilly here, and all I want to do is curl up inside and knit 😛 once it starts to really feel like spring, I’ll probably start spinning more.